Today was day one on the Boston art tour and it was quite the excursion. Day one was spend almost entirely at the Museum of Fine Arts, Boston. What an amazing place. I was there all day, and didn’t even see everything. 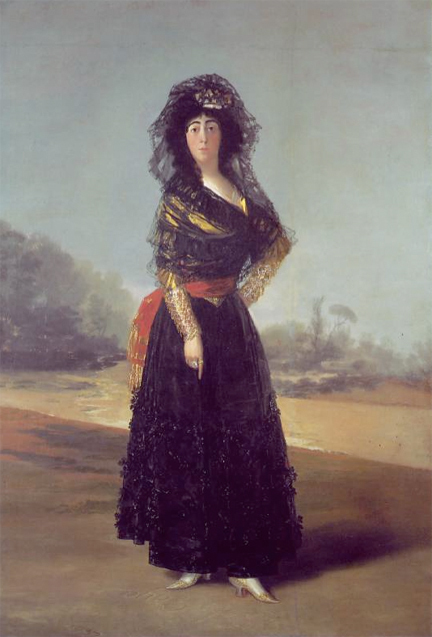 But kudos to the MFA for a multitude of reasons, most importantly the Goya show. Goya: Order and Disorder, is the most incredible exhibition. When I’m at museums, I’m that dork that carries arround a pencil and notebook and takes notes all day, writing down things I want to remember. This can be anything from profound observations about texture and an artist’s use of light and brushsrokes to annoyances about gallery browsing ettiquette. So to cap off Day One, I’ll just share with you some of my streams of consciousness while exploring this impressive historical landmark. John Singleton Copley, Paul Revere. Standing in front of this work, I can observe that it is more intense than when studied before, as is usually the case. Revere’s gaze is striking, as if he is annoyed at being interrupted, and the shine of the silver is incedible. Moreover, the MFA displays silver pieces by Revere surrounding Copley’s portrait of him, reflecting the intensity of the shiny silver. The MFA embraces the concept of the Kunstkammer, or the “Cabinet of Curiosities.” Namely, the decorative arts. This museum has the most stunning collection of decorative arts I have seen. Kudos to MFA for the dedication to depiction of the entirety of culture. Thank you for the opportunity to see these historical gems. John Singleton Copley, this museum represnts him. He is such an icon of American art. What a treat to see such a representation of his works in one place. Watson and the Shark is such a big canvas, larger than I thought. The colors are vey eerie, the action very abrupt. An endlessly entertaining picture. 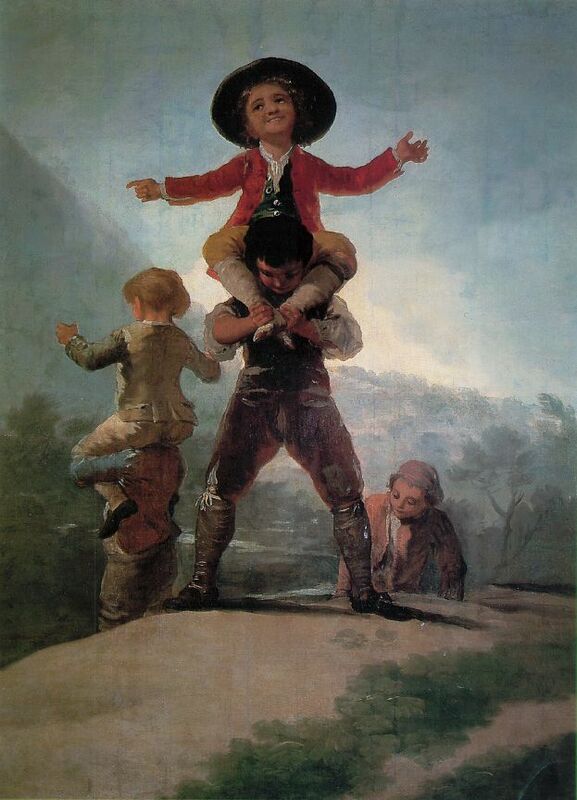 Goya, Little Giants. The innocent children at play, despite the difference in social classes. True greatness, and such joy. Goya, The Last Communion of Saint Joseph of Calasanz. Never realized how huge this canvas was. Goya paints the negative space in a dark gray, reflecting the sickly figure of St. Joseph. This has a spiritual beauty of the likes of El Greco. A light shines on the frail Saint, a majesty that moves the figures occupy the other space of the composition. Giovanni Baptista Tiepolo, Time Unveiling Truth. I love a good thick allegory. I like the alarms too! I was surprised at how many people actually touched the art, though. Dummies! I hope you enjoy the rest of your trip! Glad you are thoroughly enjoying your time in Boston. Love your spirit of adventure – mom and dad. This entry was posted on December 6, 2014 by KristyDurk in Eighteenth Century, European, Italian, Neoclassicism, Nineteenth Century, Romanticism, Spanish and tagged Alba, Boston, Copley, Goya, Tiepolo. 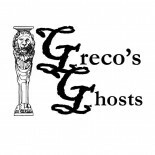 Enter your email address to follow Greco's Ghosts and receive notifications of new posts by email. Napoleon Bonaparte: Courageous Conqueror or Foretold Antichrist?